JA K2 to com content migration plugin is a Premium Joomla plugin to migrate K2 content to Joomla com_content in one go. 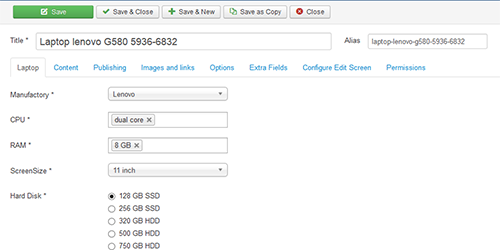 It can convert all K2 elements: K2 categories, K2 Items, K2 Extra fields group, K2 extra fields, K2 tags. For K2 extra field, you can rename it if necessary. Each extra field group when converted to com_content will be a new content type, you can add new items for any content type. 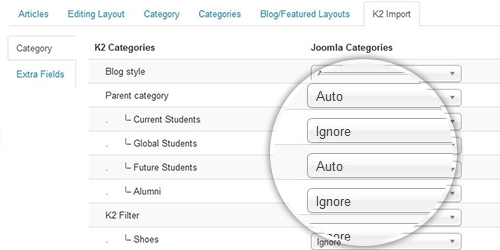 The extension only supports Joomla 3. 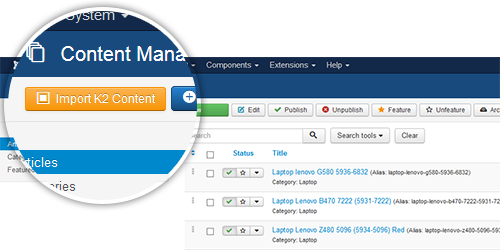 The plugin allows you to migrate all content elements from K2 to com_content: K2 categories, K2 Items, K2 extra field groups, K2 extra fields, K2 tags. 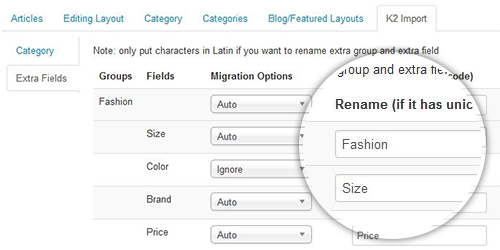 In the setting panel of the convert tool, select Auto for categories to be imported and Ignore for categories not imported. 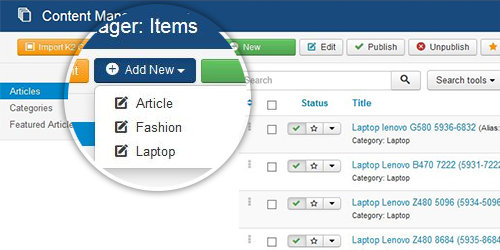 You can add new items for any content type, hit the Add New button then select content type. 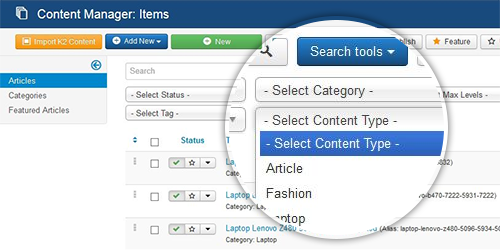 Each content type contain extra fields converted from K2.